While entering college, students stand behind a choice to live in or off campus. Both have positive and negative points, and it usually depends on one’s habits and temper while deciding where to stay. In this article, benefits of living off campus are described. It is actually the biggest advantage of staying away from the dorm. Students usually suffer from annoying or impolite roommates, talking all day long and from the lack of time for studying. It can badly affect marks at college as well. You cannot argue to make someone silent or ask one to get out of the room as everybody has equal rights for staying inside and doing what they want. It is a good idea to live off campus if you are a calm one and like to stay alone sometimes. Despite most colleges promise you a high level of security in campus, there is still a big risk that one of your dishonest roommates will steal your stuff. In addition, inattentive one can just forget to lock the door, and he will not be responsible if your valuable things are stolen. Moreover, you can suffer from dorm livers evil jokes or pranks. While staying off campus, you can be sure that your stuff is in safety, and the only you have to be afraid is armed robbers. However, they rarely decide to thief poor students. If you stay in the dorm, you surely become more independent from your parents. However, you should take into consideration your roommates thoughts and needs. In a rented flat, for example, one is responsible for paying bills, taxes, buying products and preparing food as well. It teaches students how to save money and plan the budget. The room can also be designed as you want it to look like. Many students suffer because their roommates leave too much dirt, don’t wash dishes, put stinky clothes everywhere and don’t want to clean the room at all. At your rented home, you can keep cleanliness and order, there will be no disgusting smell or insects. Everything depends on you and what you want to do. Sometimes renting a flat away from campus is much cheaper as you don’t have to pay for meals. Food is often overpriced there. Of course, cooking may take some time. but you will save money and be able to spend it for something more needed. Some people argue that living off dorm will leave you alone without mates. However, it is a wrong statement. Living away from campus gives one an ability to choose with whom he wants to communicate and spend free time. At dorm they are your roommates, and, as a rule, you have to contact with them even if you don’t like those people at all. 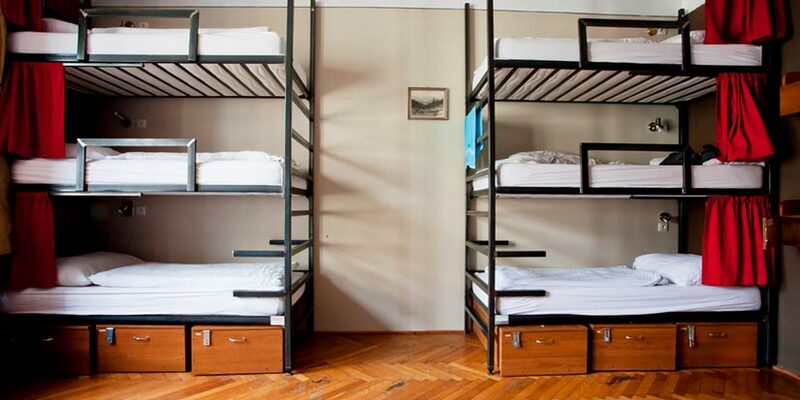 What’s more, many students after graduating from college, stop the communication with their dorm mates, as the only thing that they had in common was the room. To sum up, living off dorm is for you if don’t want to suffer from disgusting or annoying roommates. It gives many benefits, which almost fully cover minuses of this practice. Think well and weight everything before deciding where to stay.